Brunel was first at Cape Horn. Bouwe Bekking, Peter Burling, Andrew Cape, Kyle Langford, Carlo Huisman, Abby Elher, Alberto Bolzan, Thomas Rouxel. This is the leg all crew have been waiting for, and which many armchair sailors dream about doing. The Southern Ocean holds a mysterious allure – as it is just that – mysterious. Yet it’s the toughest leg in the race by far, and so far the most dramatic – and regrettably tragic too. Earlier in the week John Fisher was lost overboard from Scallywag, and never found. Just west of Cape Horn MAPFRE suspended racing to repair her mast track which has been problematic for some days now. Yet the boat which has been battling so far in the race to secure podium finishes is Brunel, but she led around The Horn and is now looking to secure victory on this leg and bolster her overall performance. 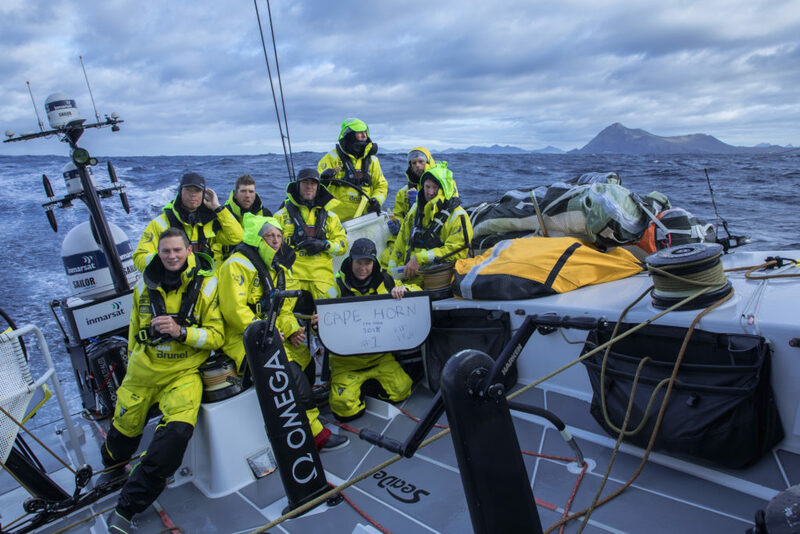 After one of the most relentless Southern Ocean legs in the history of the race, the fleet has passed Cape Horn, and are back in the south Atlantic Ocean. Bekking and his team passed the famed Cape at 13:01 UTC on Thursday and earn one point on the leader board for being first past the Horn. He’s not alone. As the sailors have some more time to digest the news about the loss of Scallywag’s John Fisher, the impact is sinking in. 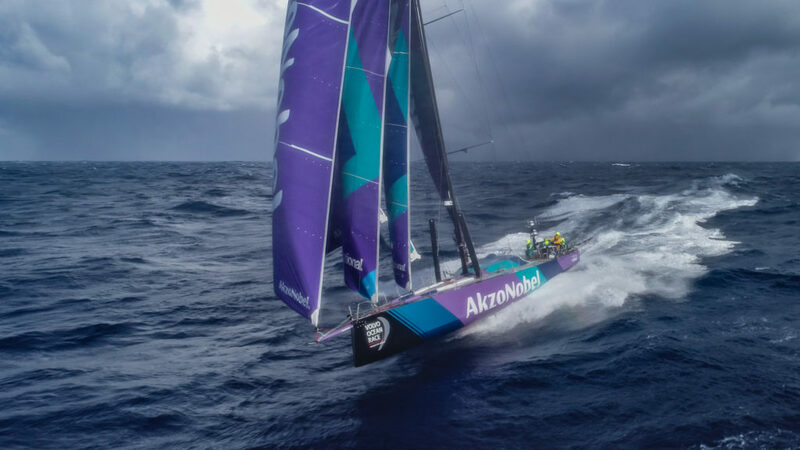 Drone footage of AkzoNobel at: 55°19’4″ S and 92°26’11” W.
“I can speak for everyone on board to say we’re all really, really looking forward to getting there,” said navigator Simon Fisher. 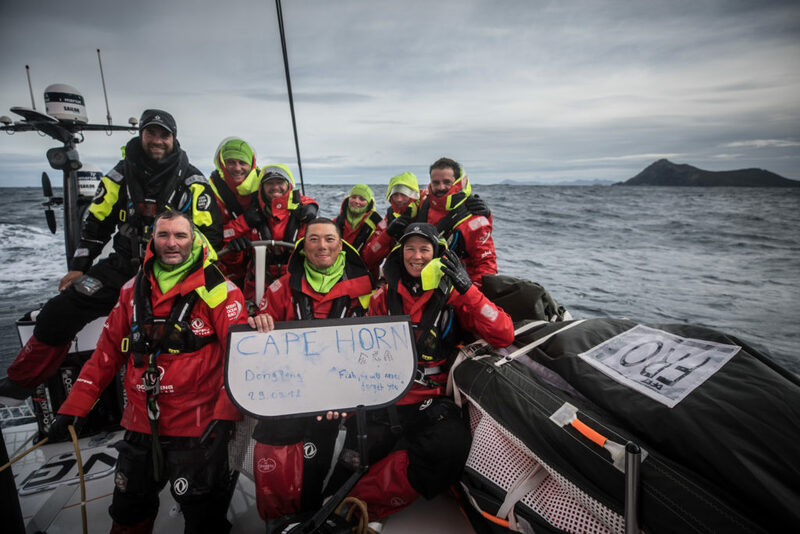 “It’s the hardest of the great Capes to take on and this has probably been the toughest Southern Ocean leg on record for quite some time. I’m on my fifth race now and I don’t remember one as hard. As usual it’s blowing about 35-40 knots, so really, there’s just been no let up in the last week and half to these conditions. 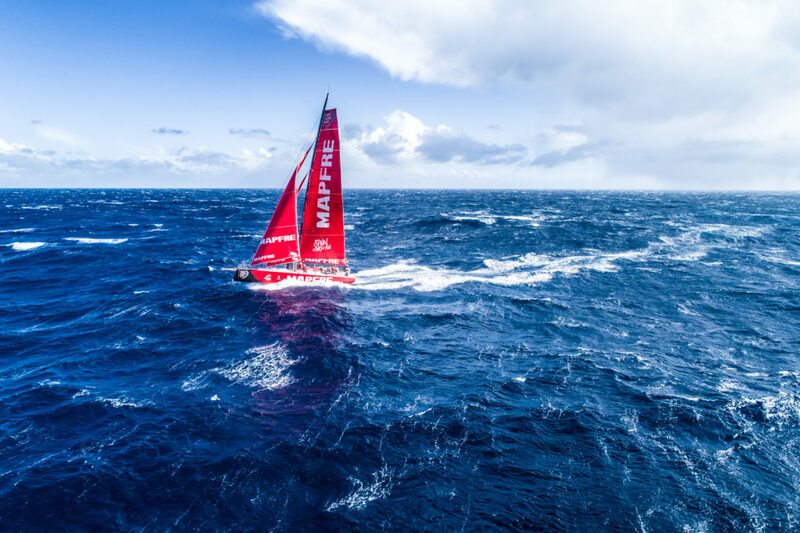 The crew of Dongfeng mark their Cape Horn rounding. Dee Caffari has taken a crew of novices across two Southern Ocean legs and today finds herself in the hunt with the group of boats chasing Team Brunel. “It’s a bit like a proud mum moment,” she said, talking about what it means to her to have shepherded her crew to Cape Horn. “This has been the furthest south most of them have ever been. I’ve got six people who had never been in the Southern Ocean before this race who are about to round Cape Horn, which not many people get to do. “But the tragic news we’ve had this week… it’s made us all realise how vulnerable we are down here, how hostile the environment is down here, and how quickly things can go bad, and how we’ve all lost a friend. That’s affected everyone quite deeply. On board Turn the Tide on Plastic where Henry Bomby & Francesca Clapcich are clipped on tight. 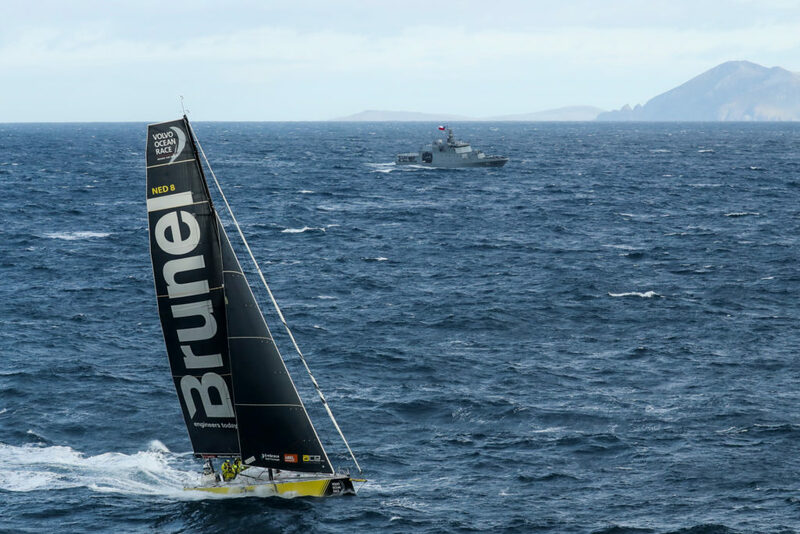 Team Brunel was the first of six boats to round Cape Horn at 13.01 UTC on Thursday March, 29. 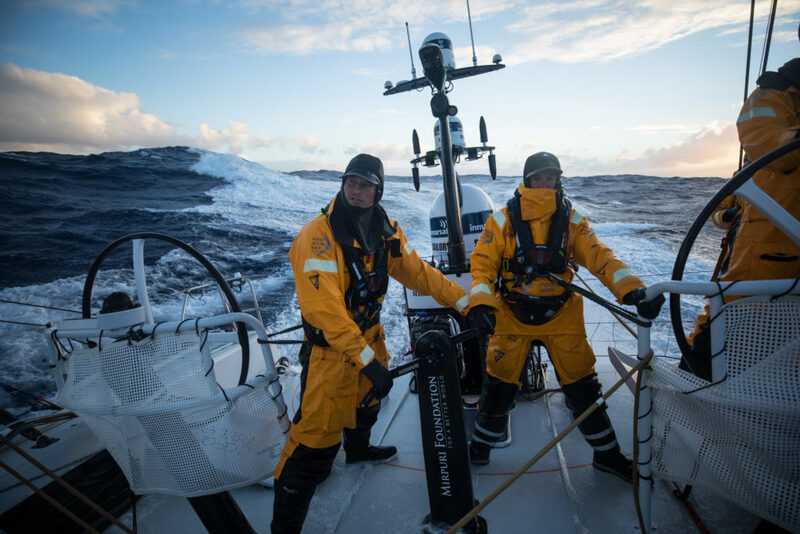 The sailors have been experiencing harsh conditions in the Southern Ocean in the past days with high waves and wind speeds of up to 100 km/h. Around Cape Horn there were winds of 30-35 knots and 6 meters high waves. The crew of MAPFRE were peeling sails in 35-40 kts of wind. 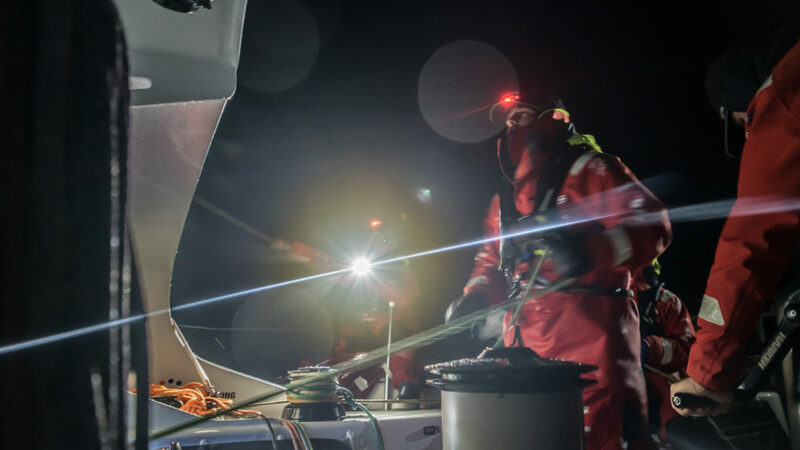 While the Volvo Ocean Race fleet mark a major milestone with the passage of Cape Horn, MAPFRE suspended racing to work on a repairing a section of the mast track that came unglued from the mast five days ago. Until now the team has done a good job of limiting the impact of the damage on its performance through various jury-rig solutions. The forecast, however, works in MAPFRE’s favour. A ridge of high pressure is expected to slow the frontrunners and allow the trailing boats to catch up. “A complete restart just after the Falklands,” is how leg leader Bouwe Bekking describes it. On board Vestas 11th Hour as they approach Cape Horn. Team Brunel led the way past the famed Cape, with Brunel skipper Bouwe Bekking saying it was an important stage to get past. “Well, we are finally around that Cape Horn. It didn’t come easy this leg, as everybody knows, it was a windy one,” he said. “It’s like a mental milestone, you’re coming from the Southern Ocean and every mile you sail north the weather gets warmer and the finish of the race at The Hague is literally a step closer. It’s a magical picture and a highlight for every sailor. There were similar sentiments from Charles Caudrelier, the skipper of Dongfeng Race Team. “Of course the passage of Cape Horn is really nice, and usually everybody is very happy,” Caudrelier said. “But this time we can’t forget what happened to John Fisher on Scallywag, so we can’t be as happy as a normal passage. Brunel sailing away from Cape Horn. This is the 9th time skipper Bouwe Bekking has rounded Cape Horn, also known as the Mount Everest of sailing. Prior to the leg Bekking said the following regarding the magic of the Cape. Just after rounding Cape Horn Bekking wrote the following, as due to technical issues with the media desk video or audio isn’t possible at the moment. 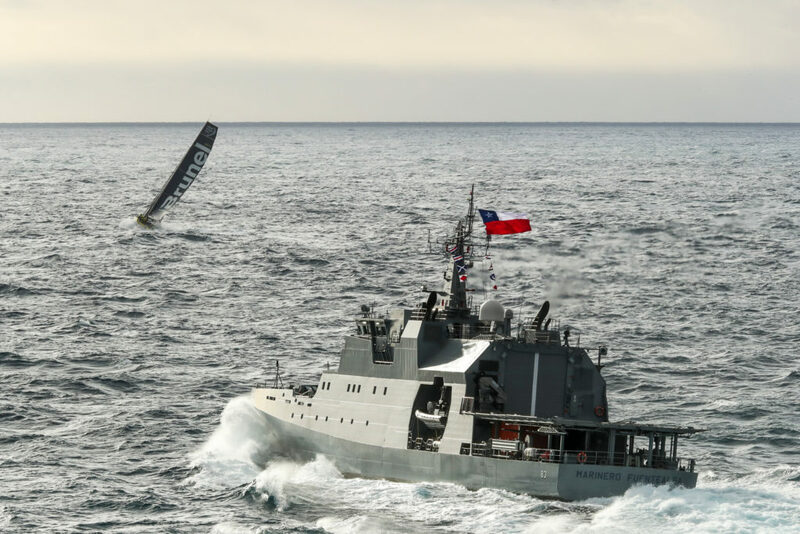 For Australian sailor, Andrew Cape, it is the 10th and most likely last rounding of Cape Horn. 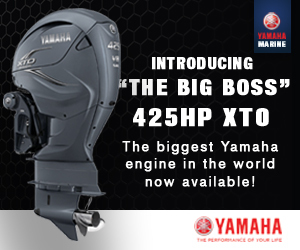 According to the experienced navigator prior to the 7 600nm. leg: “Number ten is approaching and I think this will be the last time. There won’t be anymore”. For the four Volvo Ocean Race debutants onboard: Burling (NZL), Langford (AUS), Curtis (AUS) and Huisman (NED) passing Cape Horn is like a dream come true. 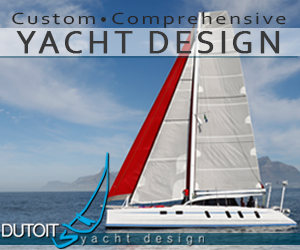 Huisman: “We’re doing what every sailor dreams of, and that is rounding the Cape. This is only reality for a number of sailors and that makes it extra special. You can only truly say you’ve sailed around the world when you’ve sailed around Cape Horn”.